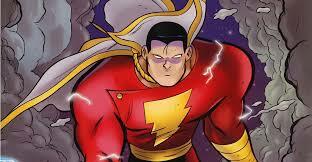 SHAZAM Month kicks off with a review of the 2009 graphic novel SHAZAM! : The Monster Society of Evil! Crafted by “Bone” writer/artist Jeff Smith, this story is an all-ages reimagining of the original Captain Marvel and his entire universe.